Only 31 hours remain until Barney marries Robin. 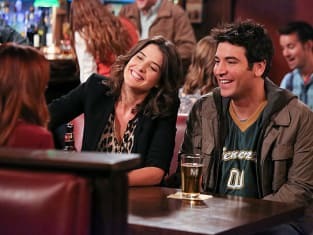 And with the time ticking down, Barney and company tried to cheer up the emotional bride-to-be on How I Met Your Mother Season 9 Episode 9. 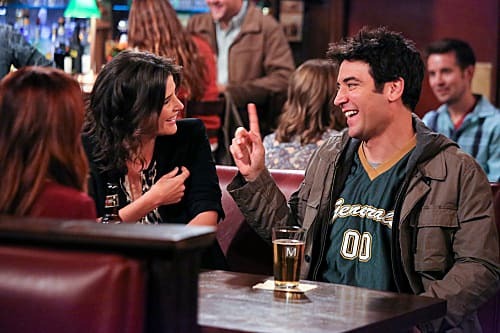 Lily, meanwhile, went all footsie on Ted after seeing his inside joke with Robin resurrected and Barney tried to get a girl's number… while wearing a garbage bag… and not using the letter E. At all. Yes, shenanigans ruled the day, as did a few more scenes with the titular mother.